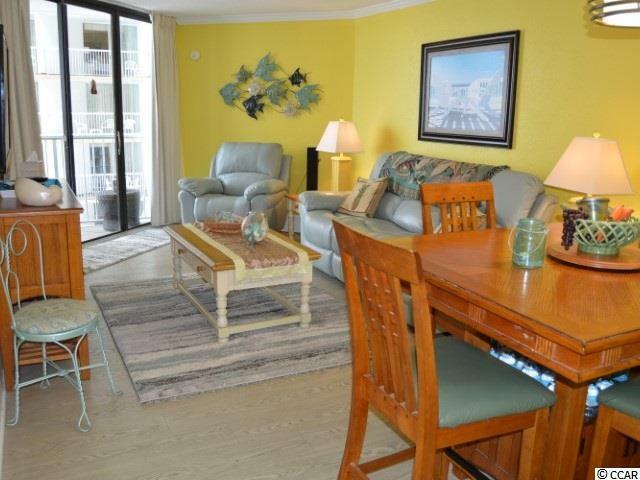 Sands Ocean Club 432 is a 2BR and 2BA ocean view condominium and it is being sold fully furnished. 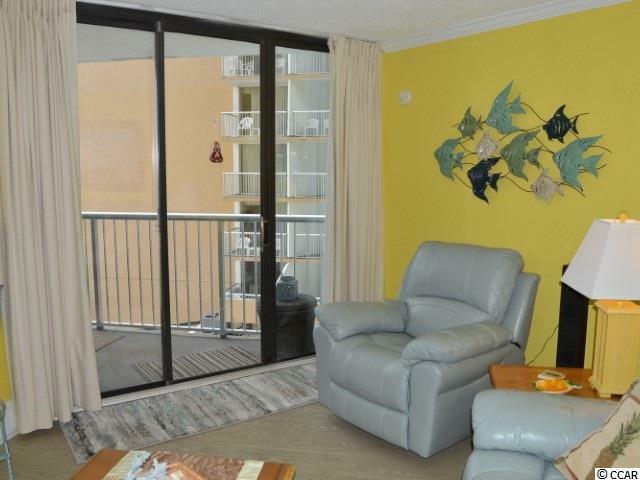 The living room and the master bedroom have direct access to a spacious ocean view balcony. This two bedroom plan features central air conditioning, a fully equipped kitchen and two full baths. 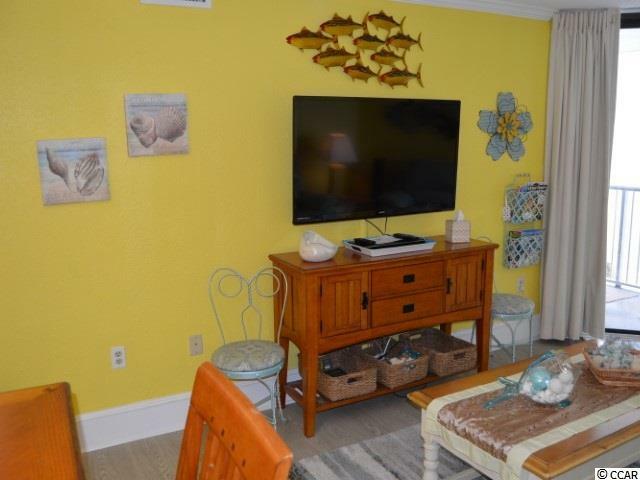 Unit 432 has had recent upgrades including laminate floors throughout, new textured walls, all walls totally repainted, and all new furniture. In the kitchen, new granite counter tops were installed and all new stainless steel appliances were added. In the second bathroom, a new walk-in shower with glass sliding doors were installed along with new cabinets and a new commode. All light fixtures were replaced in the unit and new floor and crown molding was added along with all new six panel doors. All the flat screen televisions are new as well. 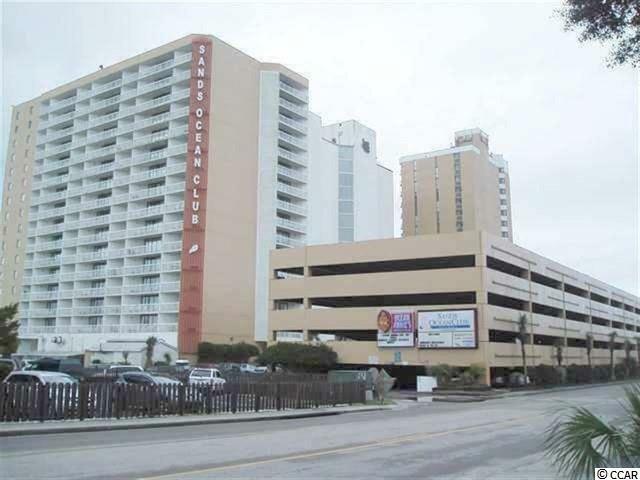 Sands Ocean Club has become a favorite resort destination and it is located in the Arcadian Shores section of Myrtle Beach. This year around resort features amenities that will accommodate any owner or their guests. Most importantly, Sands Ocean Club is located directly on the ocean front. There is no driving or crossing a street in order to make your way to one of the most pristine beaches on the East Coast. You and your guests can also enjoy large outdoor pools, lazy rivers, a heated indoor pool, an exercise room, dancing and music at the famous Ocean Annie's Pool Bar, and one of the best hamburgers on the beach at the on-site River City Cafe. All of this is enjoyed without ever leaving the resort. Just minutes away from Sands Ocean Club, you and your guests can go shopping at the Tanger Outlets, the Myrtle Beach Mall, the Barefoot Landing Shops, or at Broadway at the Beach. Some of the most wholesome family entertainment is also nearby at The Carolina Opry, The Alabama Theatre, and the Pirate Voyager Theatre. For the golfers, some of the most challenging golf courses are very close by and there is an endless choice of fine restaurants for anyone's taste just minutes away. Make your appointment now to visit and see unit 432 at Sands Ocean Club. All measurements and square footage are approximate and not guaranteed. The buyer is responsible for verification.